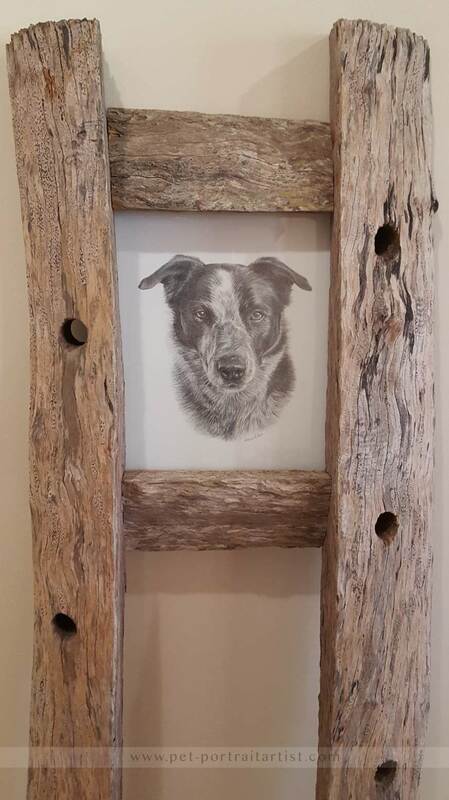 The pencil drawing of Banjo was commissioned by Robert as a birthday surprise for his wife. Robert lives in Queensland Australia and lives on a huge farm. 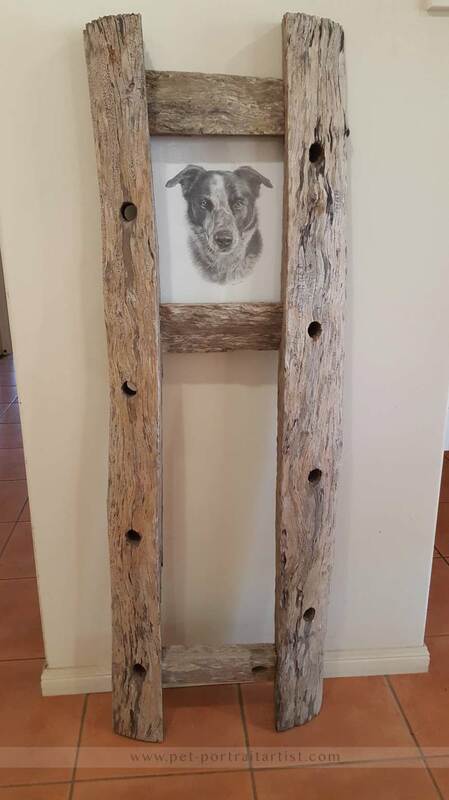 Robert framed the portrait himself, very cleverly using old fence posts from the farm. He cleaned and rubbed them down and professionally joined them together to create, what we feel has to be the most interesting frame for our portraits - ever! The portrait was a 12 x 10 pencil drawing and we hope you like the over all finished piece as much as we do!